So excited for the movie!!! This book is great! I love a good angel story and although I loved “Hush Hush” I like Fallen more. I loved Penn she was so awesome and completly normal! And you never suspect the ending either or who is on what side. Overall this book was amazing I would definetly recommend it if you liked “Hush Hush” or just like to read! 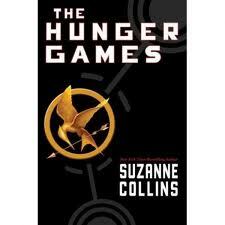 The Huger Games by Suzanne Collins is one of my all time favorite books! When I first picked this up I had no idea how good it was going to be I must have finished it in a day not wanting to put it down this book leaves you on the edge of your seat the whole time and it will make you laugh and cry all in the same paragraph Mrs. Collins does a great job of keeping you guessing on what will happen next and lays out what you think is just another love story. Overall this book is amazing and I recommend it to anybody! My Name is Lauren and I LOVE to read! I also like to give my opinon on books and hear what other people have to say about them too. Some of my favorites are The Mortal Instruments Series by Cassandra Clare and Also Along for the Ride by Sarah Dessen! Lauren has read 8 books toward her goal of 50 books. The Hunger Games Movie Comes Out! The Hunger Games Comes to theaters!